Sometimes you just need to charge everything you own at the same time. And when that happens, you have two options: a cluster of cables all in one place, or cables tethered to wall warts all over the house. Personally, I strongly dislike both of these options. I need the organization in my life. 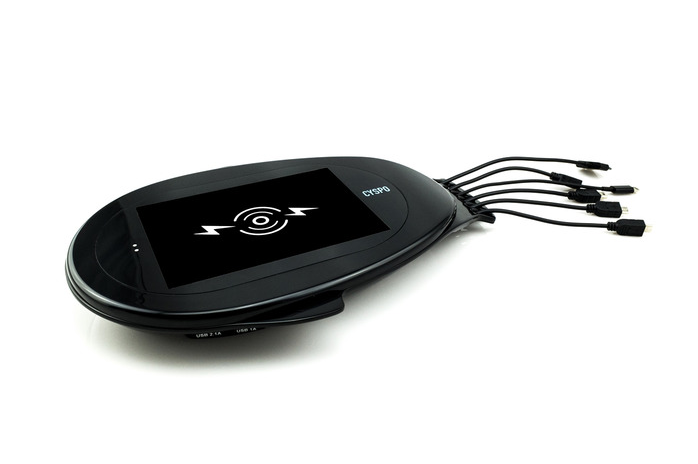 The CYSPO OmniStation wants to save me, you, and everyone else with at least $80 to throw at a Kickstarter campaign from this charging hell. How? 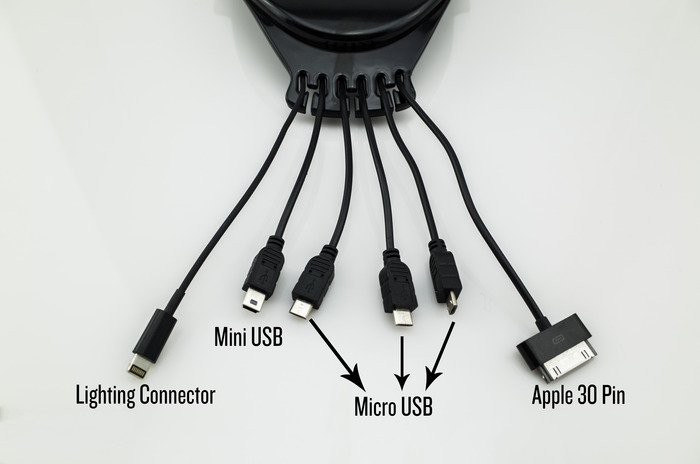 By combining a Qi charger and six modular USB chargers into one unit, with one AC adapter. It can charge everything at once. There's only one catch: this thing is hideous. It's honestly the most unattractive charger I've ever seen. Like some sort of power-providing squid creature. I guess that can get a pass if it's functional enough. Maybe. I just don't know. If you can get past the uggo exterior, the OmniStation is actually quite cool. The wireless charging pad has an embedded display of some sort that allows the image to be customized, which is kind of neat. You can charge your device on your family's faces if you want to. Oh, and if the six modular ports on the bottom just aren't enough, the OmniStation has two more on the side. That's eight USB ports. And one Qi charger. 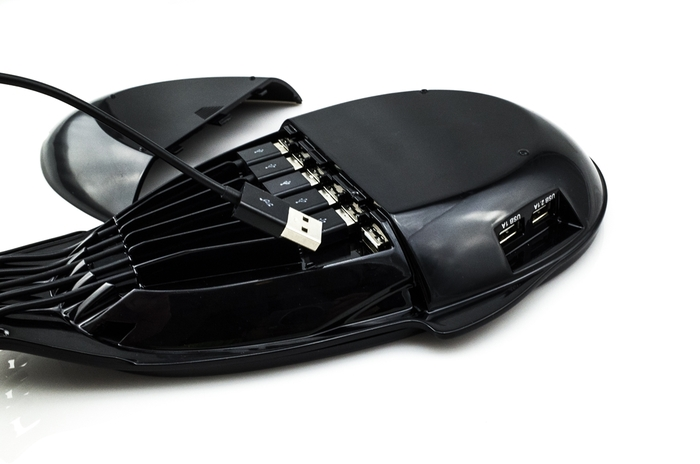 I'm pretty sure the entire AP staff could could charge our collective devices at one time with this thing. Anyway, if you have like 14 things that need to be charged every night, you can secure an OmniStation of your own for the aforementioned price of $80. Apparently this thing is going to cost $130 on the retail market, so that'll save you some cash. While it just hit its Kickstarter goal a little while ago, so you still have 34 days to decide if you can handle buying something this ugly. Take your time.